After walking any of Anguilla’s stunning Caribbean beaches, most visitors probably can’t imagine the island’s history stretching further back than the mixing of the first perfect rum cocktail in the 1960s. If you look past the stunning beaches and catchy reggae beats, Anguilla’s history is a fascinating one of pirates, British colonization, and an ancient Amerindian Arawak society. 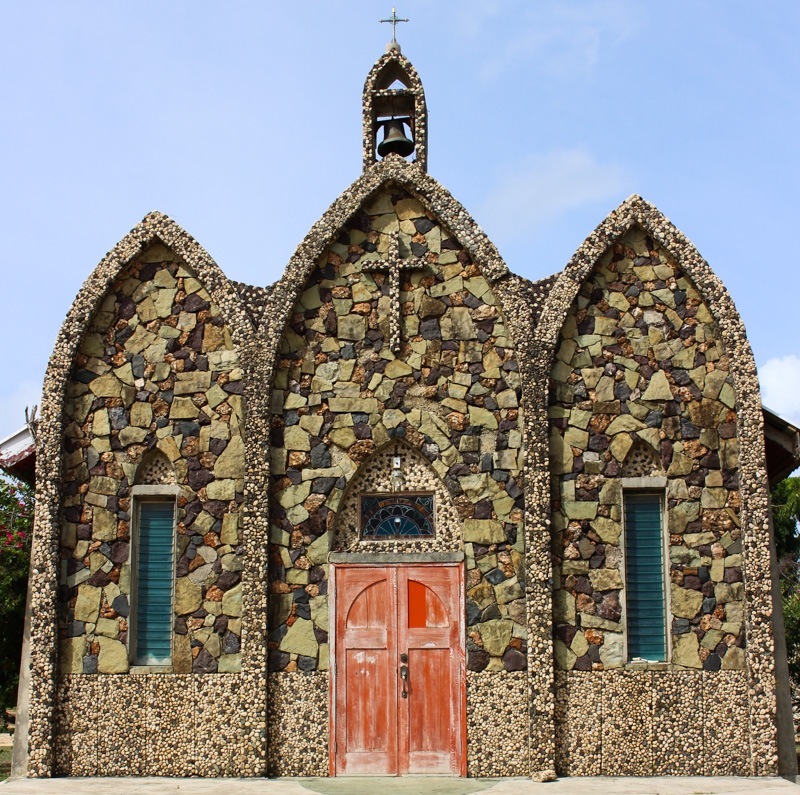 Anguilla’s 18th Century Catholic Church, built with stones quarried from the island. 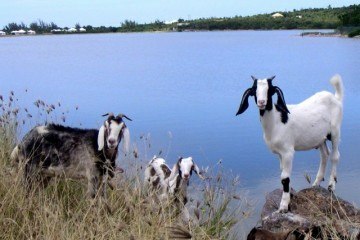 Today, Anguillans are a close knit and self-sufficient bunch. There are only about 14,000 people on the island, with a significant number descended from slaves transported from Africa, and growing numbers of expats from the Dominican Republic, St Kitts, the United States and the UK. Anguilla’s an island where everyone seems to know everyone else. Our guide, Aclan, spent a good portion of his time greeting friends, from shouting a cheerful “Happy birthday” to the man in front of us at one of the island’s six stoplights, to asking about the health and well-being of the numerous cousins, friends, and siblings of every clerk, waiter and bus driver we encounter on our trip. This warmth and family connection extends everywhere on the island. Colville Petty OBE, Anguilla’s Heritage Museum curator, proudly displays dog-eared photos of Anguillan’s who’ve reached their 100th birthday. “We treasure them”, he says about the centenarians, reverently. Colville has been pivotal to a modern revival of research into Anguilla’s history. 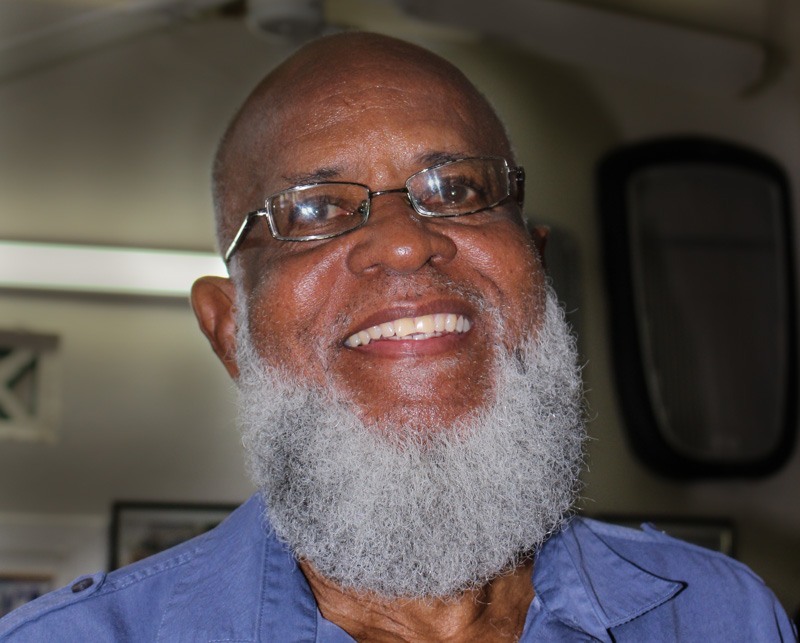 Over the years, he’s personally, and painstakingly, stocked the Heritage Museum with items from four millennium of Anguilla’s history. The eclectic and fascinating collection includes chronicles of a visit from the Queen in 1964, hurricanes that have blasted the region, and pottery from ancient Anarak tribes. Like any self-respecting Caribbean island, Anguilla’s history is marked with tales and rumors of swashbuckling pirates visiting its shores. Despite the skepticism of archaeologists, some people still believe pirate William Kidd buried his treasure on Anguilla. Long before the pirates, Anguilla’s first known residents were the Arawaks, who traveled to the island from South America as far back as 3,500 years ago. The Arawaks’ deep religious beliefs were centered around the sun, moon and two sacred caverns, believed to be where mankind originated. There’s still evidence of their time on the island for visitors who are keen enough to look. The sacred cavern at Fountain Cavern National Park near Shoal Bay plunges almost 100 feet into the earth, and shows evidence of sacred bowls, petroglyphs, and a stalagmite carved in the likeness of Jocahu, the Arawak’s Supreme Deity. You can still find faded petroglyphs known as Spirit Eyes inside the Arawak’s second sacred cavern at the Big Spring collapsed cave. 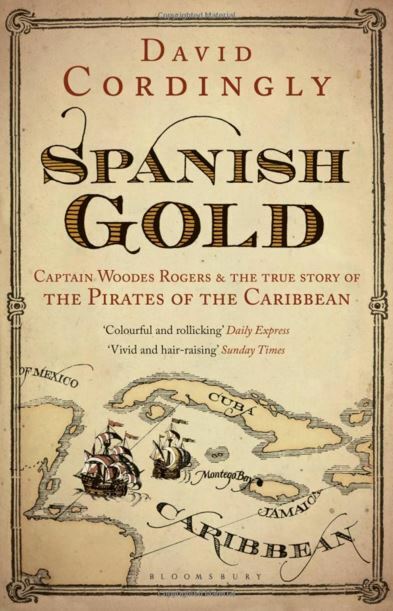 In the mid-1600s, African slaves we brought over to Anguilla by British colonists. 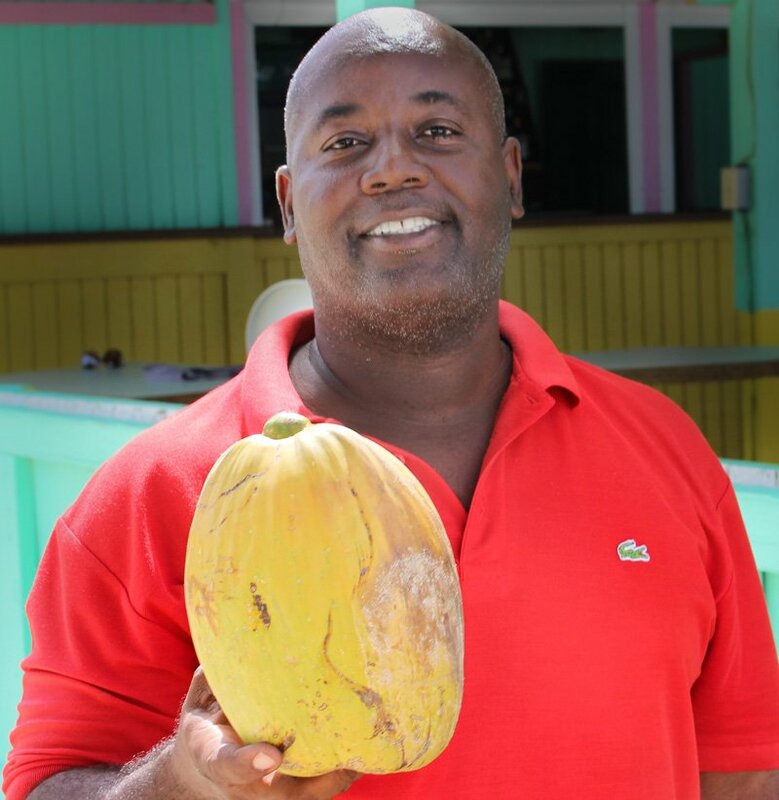 In Anguilla, sparse rainfall and poor soil made sugar plantations less profitable than on other islands. When slavery ended with emancipation in 1834, most European plantation owners moved away, unable to make a living on the dry land. Their lands were taken over or bought by ex-slaves, and Anguilla became a culture of independent fishermen and small farmers. 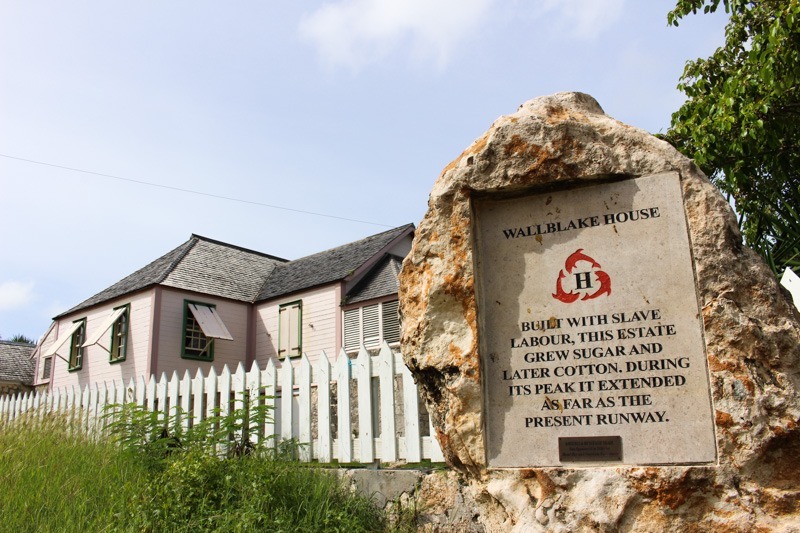 Wallblake House, a heritage plantation house, is intact to this day. Today, Anguilla is a British overseas colony. The island was first colonized by the English in 1650, and coming years brought ultimately unsuccessful attacks from neighboring islands, repeated invasions by the French, and an attack by a coalition of the French and Irish. By the 1800s, Anguilla was forced into a federation with Saint Kitts and Nevis, which lasted in many forms until 1967. That year a referendum saw a vote of 1,813 votes for secession, and five against, from Anguillans who wanted to be free of political subservience to Saint Kitts. In 1969, the British landed 100 British paratroopers in red berets, along with police and the 2nd battalion on Anguilla, meeting with no resistance. In the end, Anguilla was allowed to secede from Saint Kitts and Nevis, becoming a separate overseas territory. Anguilla is the kind of island where you can go for a dip in the ocean, and come out and find you have the entire white sand beach to yourself. 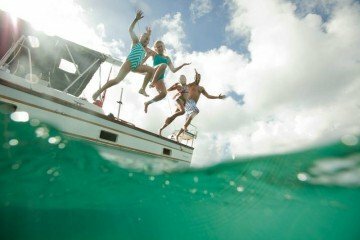 If you’re looking for more information on accommodation, food, and activities, check out our article on what to do, see and eat in Anguilla. 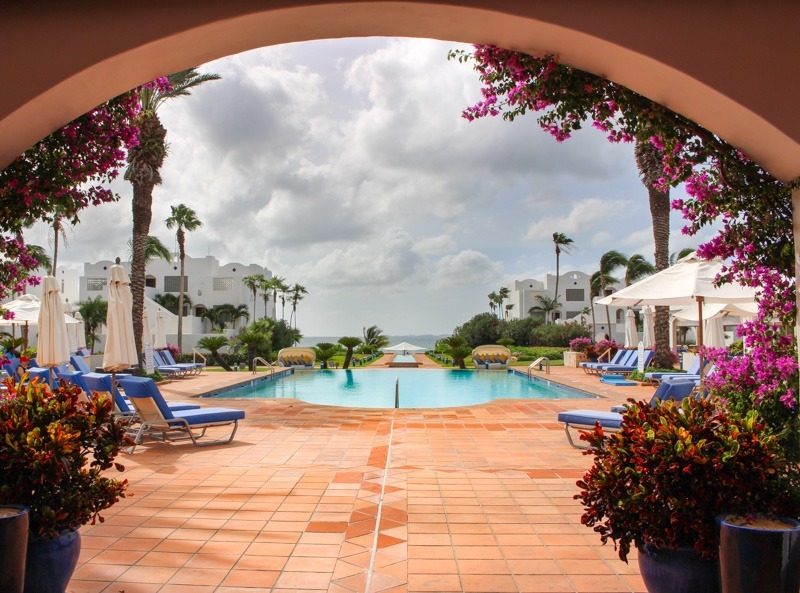 Anguilla has no high rise hotels, but does offer some lovely boutique hotels like the Anacoana, and Anguilla Great House. 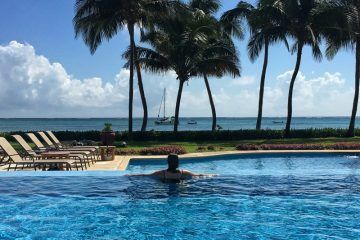 As you’d expect, there’s plenty of luxury available at the Viceroy and CuisinArt. 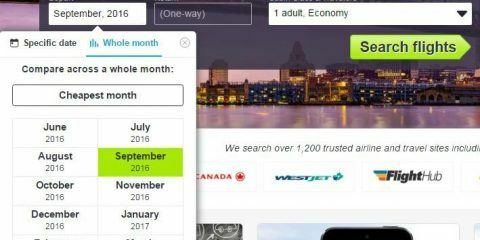 Airbnb has a good selection of private and affordable options in (use our link to get a $28 airbnb credit). 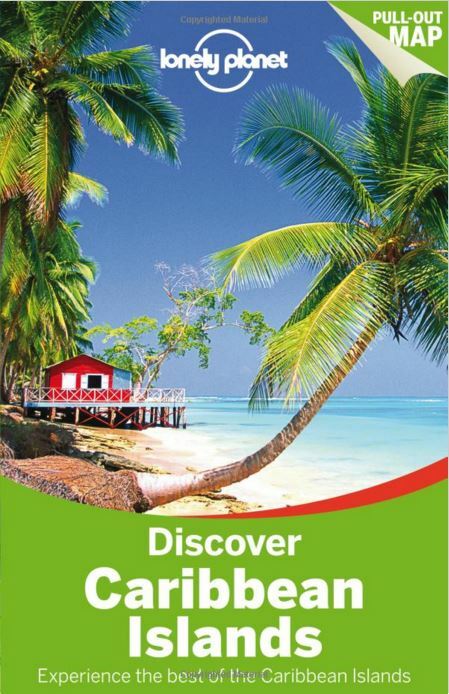 If you’re in Anguilla, you can pick up a map for the free self-guided Anguilla Heritage Tour trail map at the Anguilla Tourist Office. 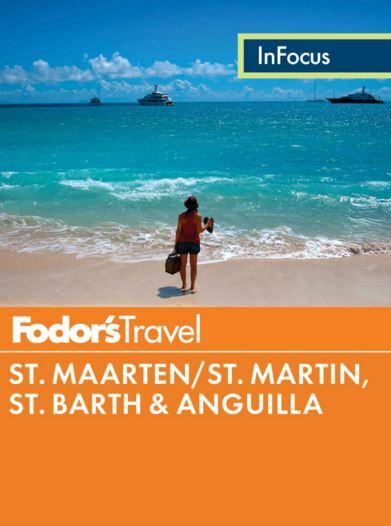 Packed with gorgeous photos, in typical Fodor’s fashion, this guide gives practical, helpful advice on Anguilla and other Caribbean destinations. 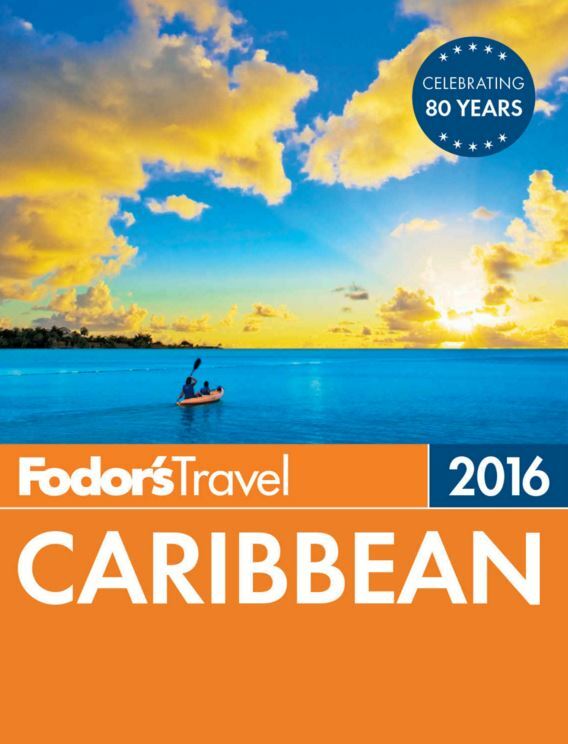 “Lonely Planet Discover Caribbean Islands is your passport to the most relevant, up-to-date advice on what to see and skip, and what hidden discoveries await you. 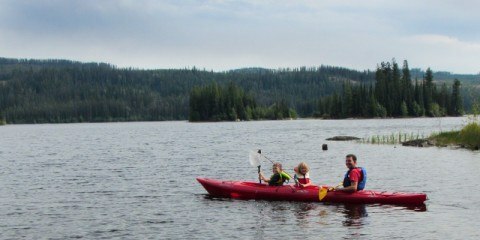 Swim below the waters with darting fish, wander along the sand and stop at a lazy beach bar, or hike into emerald wilderness; all with your trusted travel companion.” Includes over 85 local maps. Anguilla is located in the Eastern Caribbean, and is neighbors to St. Maarten. 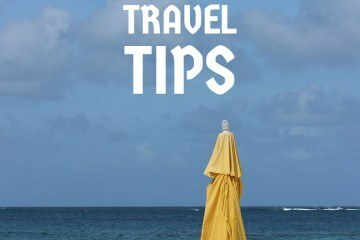 Most people fly into St. Maarten and take a 20 minute ferry that runs daily from St. Maarten to Anguilla. I loved Anguilla! One of the most laid-back Caribbean islands I’ve been to. And that church is wonderful. Out of all the Caribbean islands, Anguilla has always interested me the most. You make me want to go! That church alone is a trip–I wasn’t sure if I was seeing something built in the 1700s or the 70s! 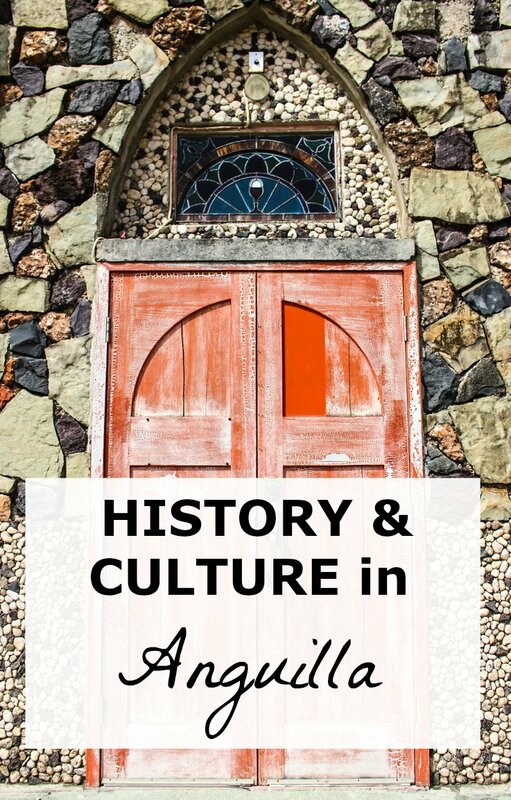 Such interesting history in this area–I am jonesing for a trip! I’ve never been to Anguilla but have been hearing more and more about it over the last year. Need to get there! Oh my gosh. Dying to get to Anguilla. Great post. 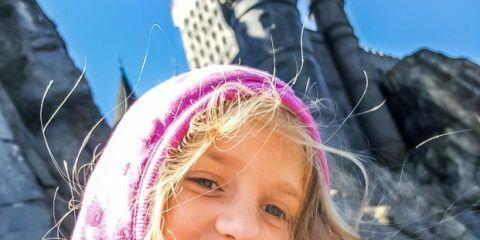 This is truly an amazing post to read. Keep up the good work!